Convenience Stores and Gas Stations have a lot of prime real estate to generate campaigns and impulse sales. C-Store customers visit your store knowing they need gas or a gallon of milk, but they're already in a buying mind set. It's easy to catch their attention to buy a candy bar or an energy drink that they may not have planned to purchase. Creating custom campaigns and utilizing advertising space helps increase these impulse purchases and increases your store's sales. We're excited to introduce a full like of custom apparel to our customers! Custom branded shirts are a great way to increase brand awareness and have your employees look uniform. 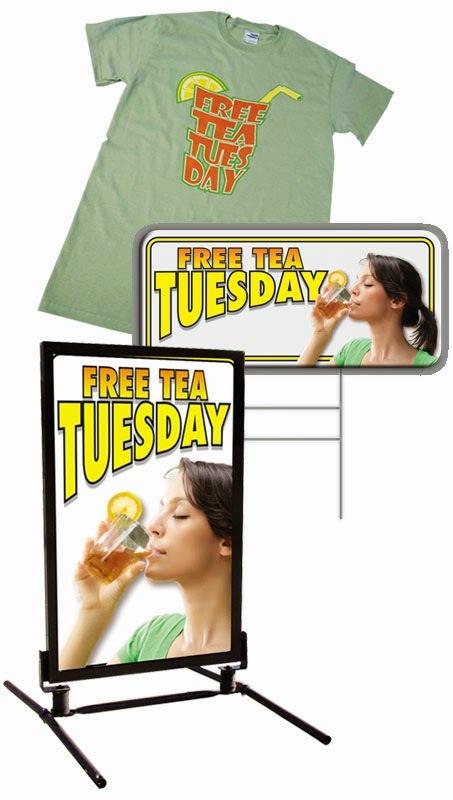 It's also a great way to advertise store campaigns, specials or sales. Custom products and branding are all things to help you surpass the competition. We can create the pieces to coordinate your staff and facility inside and out for promotions, campaigns or to simply look uniform year round.